They say it takes a thief to catch a thief, but the world's greatest detective begs to differ! 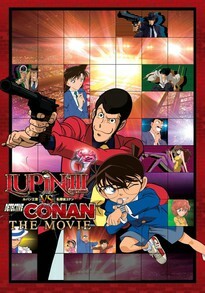 In this sequel to the crossover special, Lupin III once again faces off against the tiny genius Conan Edogawa, and the stakes have never been higher. An unknown enemy has kidnapped Fujiko, and the only way for Lupin to save her is by stealing a certain jewel. Meanwhile, Fujiko isn't the only one in danger, as a popular Italian singer receives a note that promises to take his life. It's up to Conan Edogawa to get to the bottom of the mystery, but these two tales have more in common than it might seem! Who is really playing who, and who will come out ahead of the game?